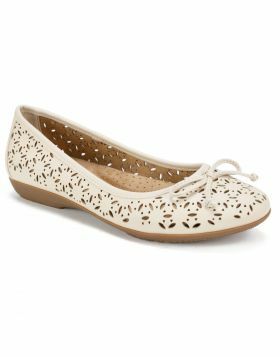 A classic ballet flat silhouette pairs with modern design of the Garry flat from Rialto shoes. 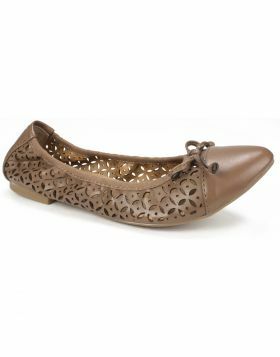 A dainty bow decorates the front along with laser cutouts throughout. 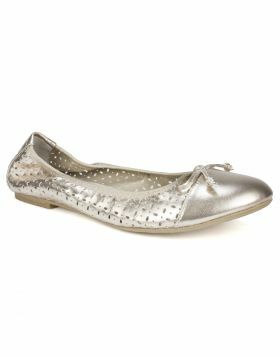 A soft insole and a flexible outsole complete this stylish and comfortable style. Heel height: 1/2 inch.